Back when people used to think that cartoons were only for kids, anime attracted a whole lot of controversy for aiming for far more diverse audience demographics, headlining many video nasty rants in the Daily Mail and the like. It has to be said that of all the anime that does come to the UK, not a lot of it is child friendly even now. So it makes a big and welcome change to see the kind of show that you can safely plonk your l’il ‘uns in front of, while you do something useful instead. 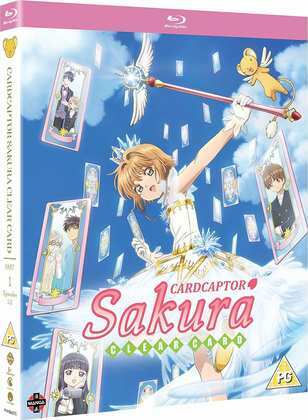 The one problem is that Cardcaptor Sakura: Clear Card - Part 1, is the sequel to the original Cardcaptor Sakura. Fortunately, you don’t really need to see the original series to appreciate the new one, and its magical girl adventure is a warm and colourful delight. 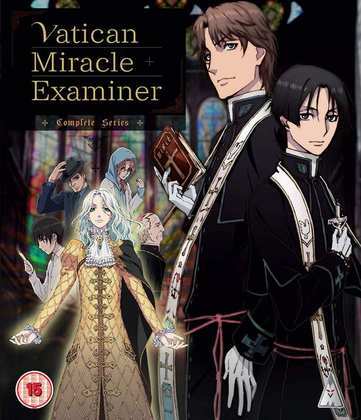 I had high hopes for Vatican Miracle Examiner. A tale of two priests travelling the world to confirm or debunk miraculous events had a tinge of the X Files about it, at least when I read the blurb. It turns out that Vatican Miracle Examiner is one of those shows that I review as penance, balancing the scales of karma in my mind so that I can also review shows like Princess Principal. But an anime with hardly any animation, and writing so bad that my eyes still haven’t stopped rolling, means I must have enough good karma saved up to last me through the year. I imported Cowboy Bebop The Movie on Blu-ray one month before the UK release was announced, which turned out to be the exact same disc, and it was over a year past the UK release that I actually got around to watching it. There’s something wrong with that when you think about it. There’s nothing wrong with the disc though, except maybe the lack of lossless audio. Cowboy Bebop is perhaps the most iconic anime series, and in Knocking on Heaven’s Door, it truly got a feature film spin-off worthy of the series. Despite the audio, this might still be the best English territory release of the film. Haibane Renmei. There are great anime shows, and then there are shows that transcend their very medium. From the creator of Serial Experiments Lain, Haibane Renmei is a more ethereal, reflective, and spiritual piece, that might just be my favourite of his works. A girl is ‘hatched’ full grown from a cocoon, with no memory of her past life except for the dream she had while in the chrysalis. Not long after, she sprouts feathered wings from her shoulders, and receives a halo to wear. She is a Haibane, resembling an angel for all intents and purposes, and she has to live her life according to a set of rules. And there is the mystery of her existence, living in a walled city alongside a community of people, never allowed to leave its confines. What is this world, who was she before, and just what are the Haibane? Thirteen episodes are a masterpiece of storytelling, emotive and layered with meaning. 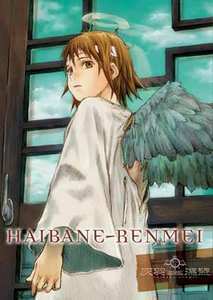 Haibane Renmei was released by MVM across 4 volumes in 2005, and it’s subsequently received complete collections. Here’s my review of volume 1. Believe it or not, the UK release is still the one to get. They may be NTSC-PAL standards conversions, but the animation is silky smooth during playback. Haibane Renmei may be a great show, but the production values of its animation are pretty low, animated at something approaching more VHS resolution, so there is no difference at all between the NTSC and PAL versions when it comes to clarity, detail and colour. I’ve seen the 2-disc NTSC version released by Funimation and Sony in Australia and the playback on that is jerky, while some of the extras are absent. Manga Entertainment will release Cardcaptor Sakura: Clear Card - Part One on Blu-ray on the 11th February. MVM will release Vatican Miracle Examiner on Blu-ray on the 25th of February. 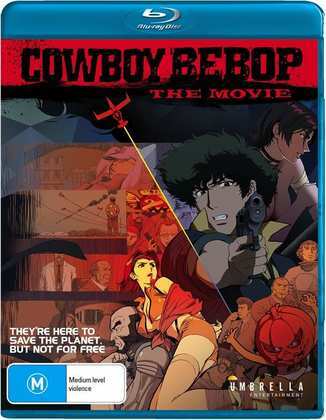 Umbrella Entertainment released Cowboy Bebop: The Movie on Blu-ray in Australia in 2016, but as mentioned, you can get the same disc from Manga Entertainment now.